Seven coins for seven periods. One for each era. There is the Greek period, the Roman period and the Byzantine period, the Renaissance, the era of great monarchies, industrialization and globalization. Gold, silver or copper, of small or large diameter, perfect like Giotto’s circle or irregular and worn over time, each piece finds its perfect placement inside the elegant box set that each enthusiast can customize. And each specimen finds its own historical context in the volume that traces the adventure of numismatics from its origins to the present day. 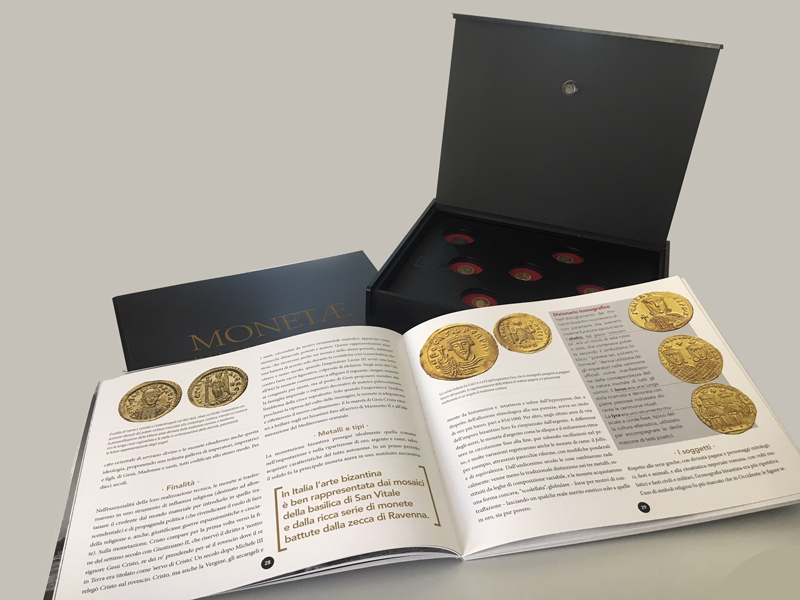 It is without presumption of completeness, for the pure pleasure of telling beautiful stories of coins from twenty-six centuries ago and today.